It's the London Marathon this Sunday! The London traffic stops and the people run, from all over the world. A highly moving event that raises an amazing amount for charity. Easter is early this year even if Spring feels a little late! And with a 4 day weekend there is plenty of time to see the sights of London. Time out have made a list of all the great things to do, so lets see what is on. Treat Mum to a Taxi Tour Mother's Day March 11th 2018. How about a London Taxi Tour for Mum this Mothers Day? It can be a unique gift that all the family can enjoy together. 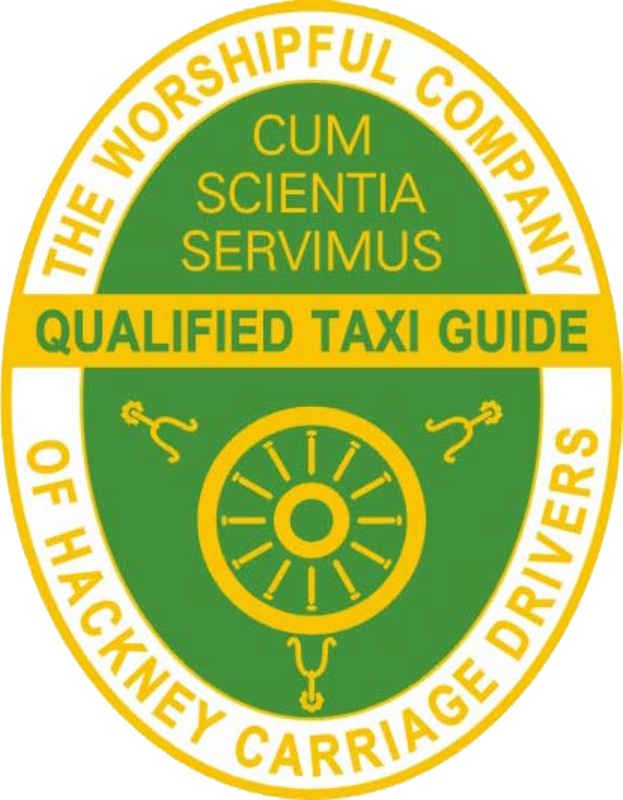 Grab your discount code too and get one of our taxi tours for a really great price. Present your loved one with a gift certificate for their London taxi tour. YOur friend or family member can take a tour when it suits them, book in advance or at short notice. Over 34 million people will visit the UK in 2018 and we can't wait to see them. Some will be from overseas and some will be from the UK making a special trip to London to see the sights. Here is a quick look back at some of our favourite tours 2017. We met some great people from all over the world, we grew our team of guides by more than double and we cannot wait for 2018. Happy New year! We are so excited about our new partnership with Visist Britain. We get to add our tours to their online shop and go to all sorts of events through the year and being part of the tourism startergy for London. Art Deco East to South London. We have a Winner! Anna is our competition winner and she has choosen an Art Deco tour to take her friends on. We had a great time arranging this and making sure we covered the very best of Art Deco East to South London. Congratulations to Harry and Meghan. We are looking forward to the wedding. The eyes of the world are on this lovley couple and we wish them the very best on their wedding day. All Hallows by the Tower the Special City Church. The Secrets of the Oldest Church in the City of London - All Hallows by the Tower. Add this church to your list this hot Summer. It really is a wonderful stop if you are walking around London or if you are out with us. Our Christmas taxi tour will include all the world famous Christmas lights of London as well as stops at a Christmas market or two. This is a tour full of Christmas spirt and Wonder. Marble Arch in London has a Secret. We Want to Share it With You. Only some people know the little London secret about Marble Arch, a London Landmark. And many are quite suprised when they find out a little bit more about her and how she was used in the past. To celebrate how much we #LoveLondon, we are launching an exciting competition for you all. Take part and the chance to win a free tour of london, bring your friends and family out for the day. Watch this space, competition coming soon. We are looking forward to giving away a great free tour of london and a tour of your choice. Don't miss this competition, it's a great one to win. A busy summer so far! We are Loving Every minute. Wow we have been busy and taking out people on tours from all over the world. And we are having such a great time. How lucky are we? We get to make sure people have wonderful memories of London. Borough Market just one fine example of London food markets. London's Art Deco - all you have to do is look around and up. We have over 100 compelling examples of Art Deco architecture in London. And it doesnt matter if you are in East, North, West or South london there are fine examples everywhere. Old London photos discovered and what a treasure they are! Over 800 hundred photos of london discovered in an archive at Bishopgate Insitute. Can you imagine that kind of find and what it means to those who love London's history! Some of the oldest pubs in London are uncovered in this great article. Each pub has a story and we want to share that story with you, so lets grab a beer and learn who was drinking where back in the day. London's Green Huts - we want to tell you all about these strange green huts you can find all over london. It's a bit of a secret and sometimes a bit of a puzzle but we are going to tell you what they are all about. A very personal and a very unique Ancestry Taxi Tour of London. Discover where and how your family lived centruies ago. Walk the streets they walked, sit in the churches they sat in, reach back in to the past. We've launched a Nostalgia Taxi Tour! Lets all go down Memory Lane. Lets take a taxi tour down memory lane. A tailor made tour of London just for you, family and friends. We can take you back in time, to a London you knew before. Share memories with your family. London, what's going on this month? Find out what is free and where. We highlight the best things to see and do in London, especially the 'free' things to do ! There is nothing like having a great day out that cost next to nothing. love London! Check out our Face Book page for updates. Read our tips for staying safe and well in London and of course having the very best time! And see our most upto date information on our facebook pages as well as ideas on things to do.